Were you lucky enough to receive a camera for Christmas this year? Perhaps a new Smartphone with the camera built in. If you did, I guess you have taken lots of shots of your nearest and dearest around the tree. If the weather allowed, perhaps a few while out for a post lunch walk (got to shift some of those extra calories from the ‘pigs in blankets’). How do they look? Are they good enough to share with your friends on Facebook? Clever enough to attract a few more followers on Instagram? Or maybe they’re a bit on the dark side (that’s not a Star Wars reference, by the way) A little blurry or fuzzy when people moved. 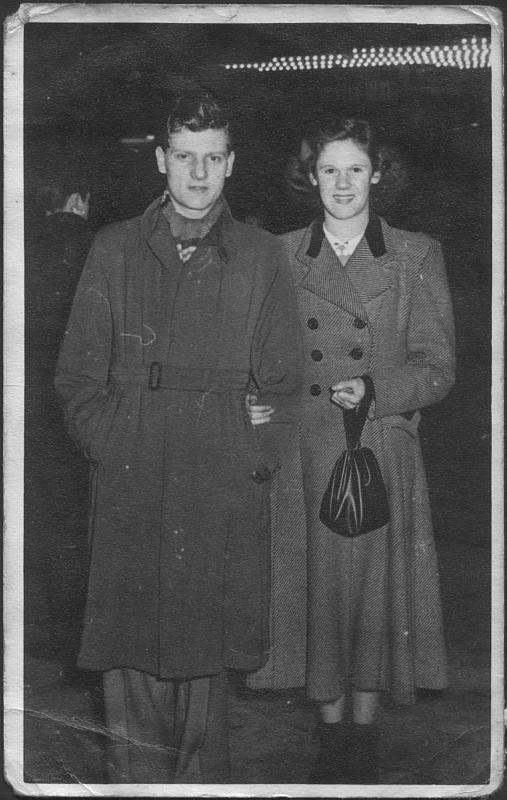 They are lovely to see: They are from the 1950s so Mum & Dad are youthful, stylish and – obviously I’m biased but – a pretty handsome couple. In an age where 4,000 images are uploaded per second to Facebook, printed photographs have fallen out of favour. Yet, photo prints are enduring, easy to share and accessible without any special technology, save perhaps a pair of glasses as you get older. Images; even the blurry ones, are cherished because of the people, pets or places featured in them so make a point of getting a few printed out. This shot and many others from the last six decades started life as film and slide – analogue images. Scanning these paper copies gives you another method of sharing pictures. As well as uploading them to digital platforms, get these printed too. Producing an album of these photos is so special; it shows how important they are to you family and how much you value this shared past. If your parents are still around, ask them about the photos and I guarantee you will learn things about their lives BC (Before Children). Add these stories into your album, so you have them for your children and your children’s children. For them it will be more than a few blurry pictures – it will be a link to their past they would never have had without these archives.